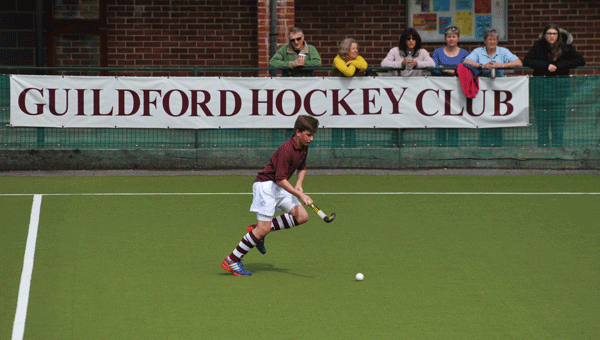 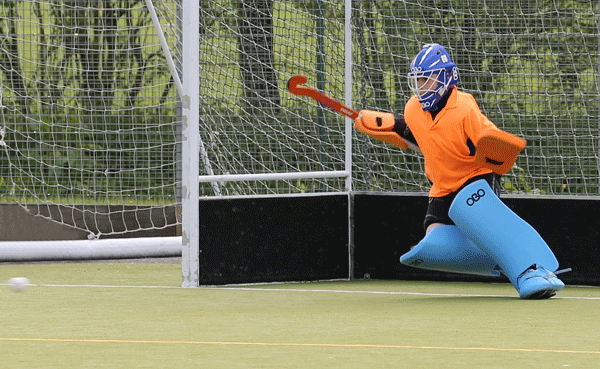 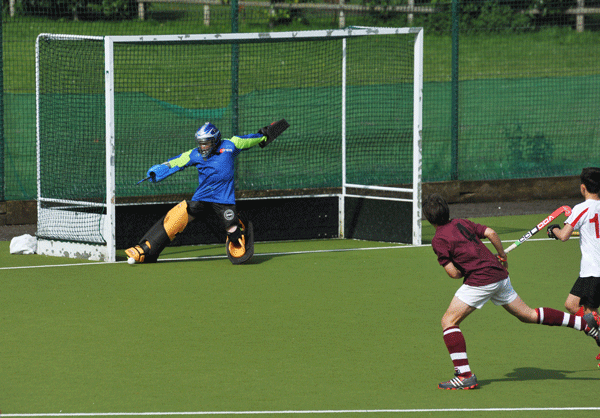 Having successfully hosted the England Hockey Under 10 Boys and Girls County tournament in March, Guildford did it again, this time for the 36th annual Mercian Home Counties Colts Hockey League Finals Day. 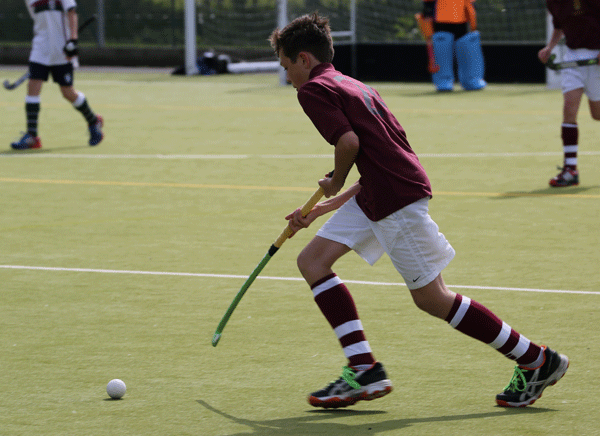 Our boys' U14, 16 and 18 teams play in the Mercian League and Finals Day is a chance to wrap up the season by having the top four finishers in each age group play each other for League honours. 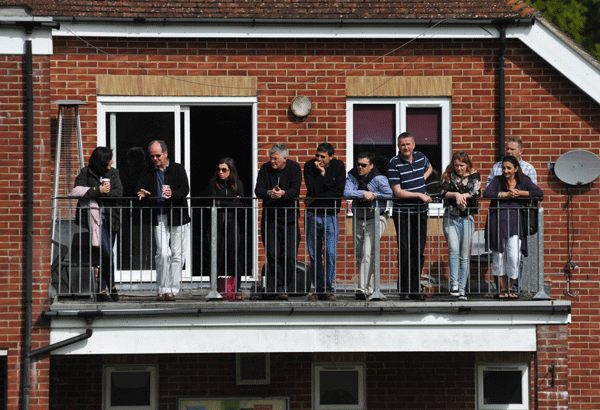 What a terrific opportunity to see the clubhouse buzzing again before the summer break. 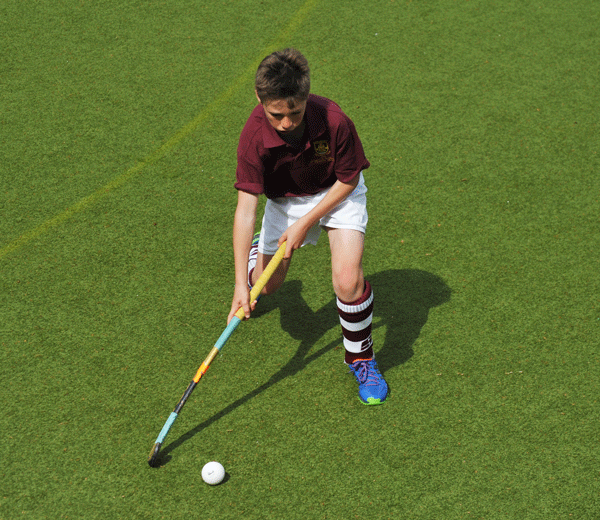 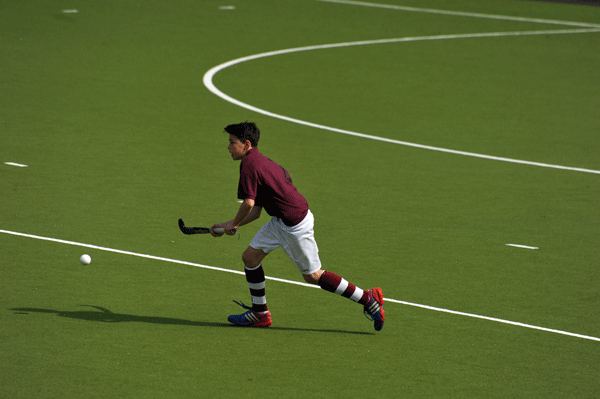 The Mercian Colts League consists of more than 100 boys teams stretching from Oxford to Canterbury. 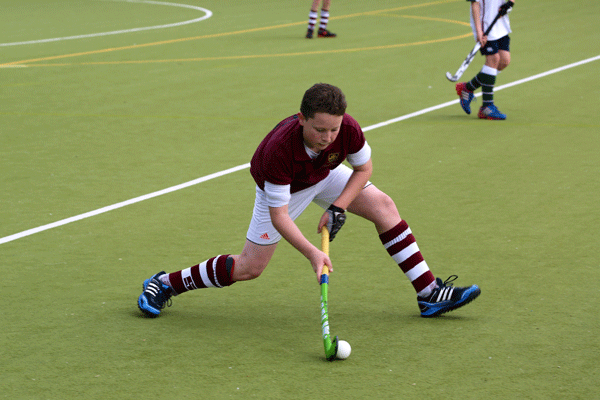 The age groups are divided into Premier, Area and Development League tables. 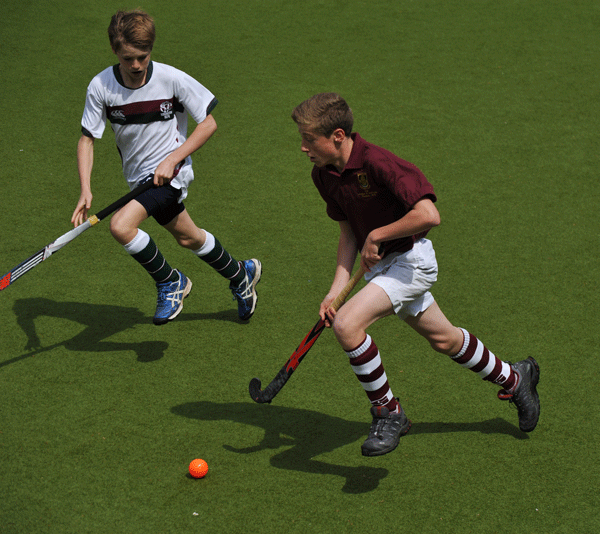 Finals Day offers the top two Prem + the top two Area teams a chance at playing off for the honours of winning Finals Day. 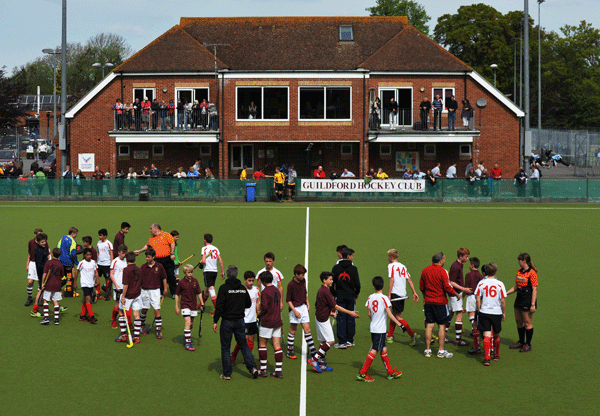 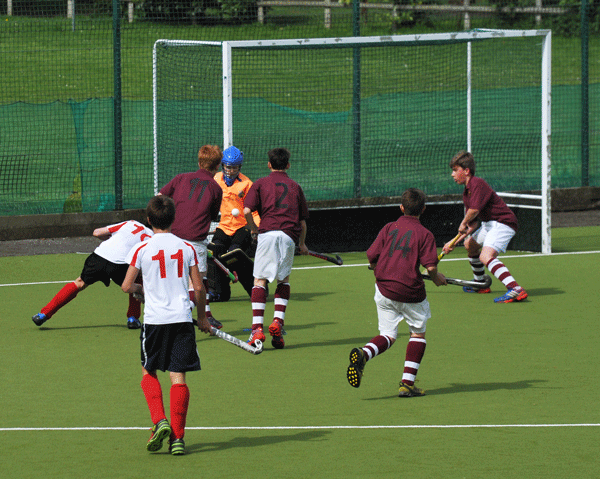 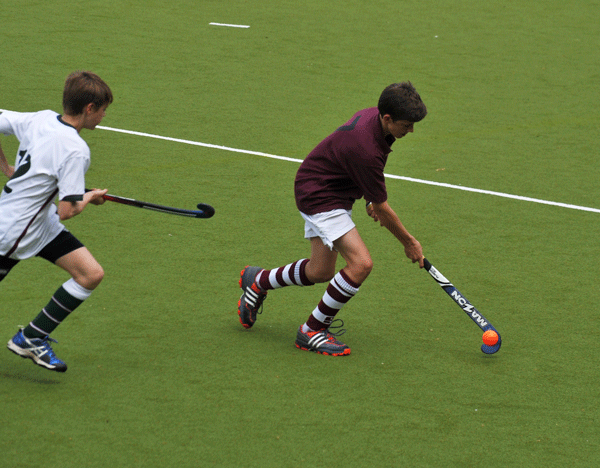 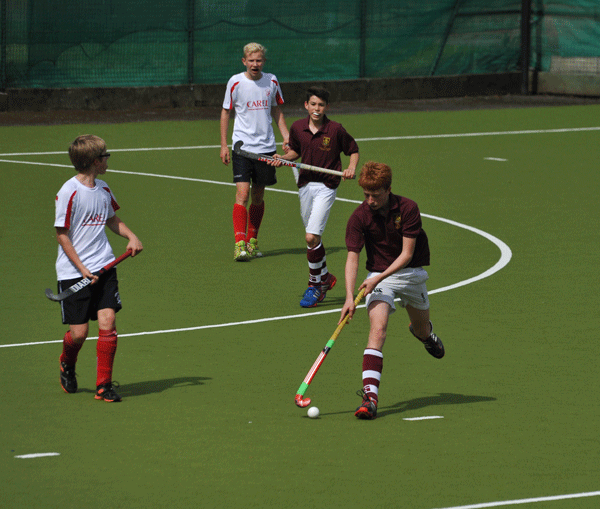 Guildford hosted this event and also had two teams in the Under 14 category, the latter of which has not happened before in the history of the league. 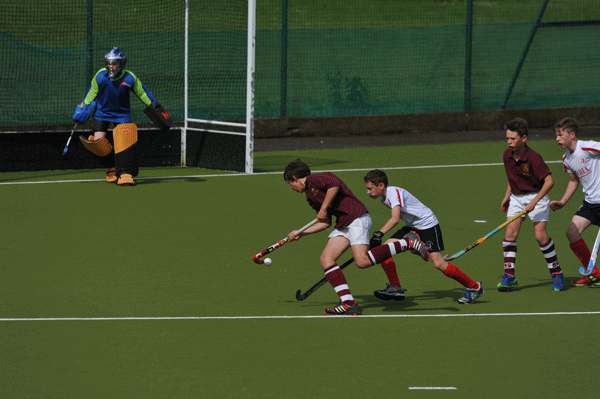 The sun was shining, the bacon butties were sizzling and the coffees were hot (until the beer started flowing a bit later) when the U14s started the day. 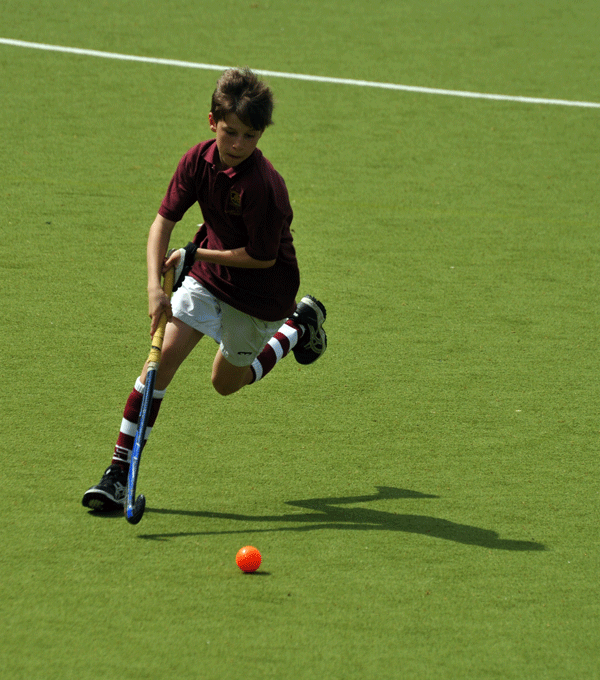 Guildford South, who had finished second in the the Area league, took on Premier league winners Surbiton and fought hard against a tough opposition who had only lost one match all season. 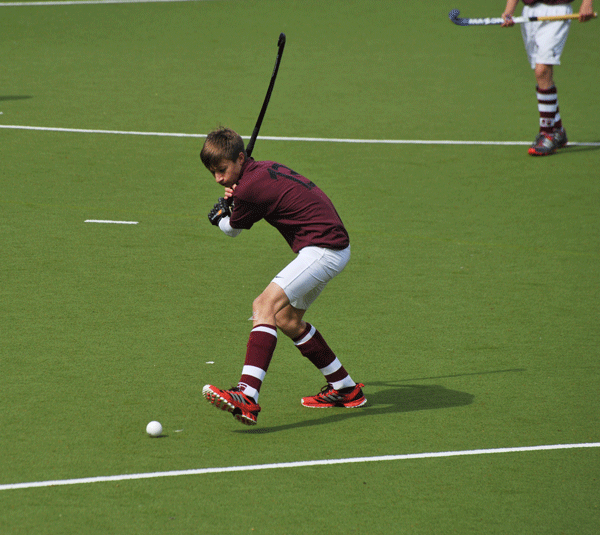 The Guildford boys gave everything they had but were not able to stem the tide of the Surbiton attack which scored 7 goals. 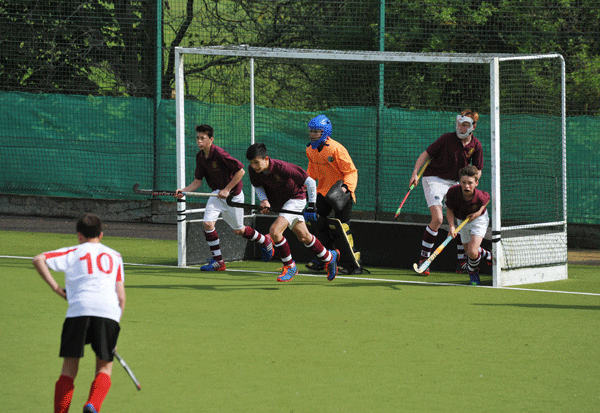 South did manage to get one back thanks to Ross F. This left our South team in the play-off for 3rd/4th place and Surbiton into the final. 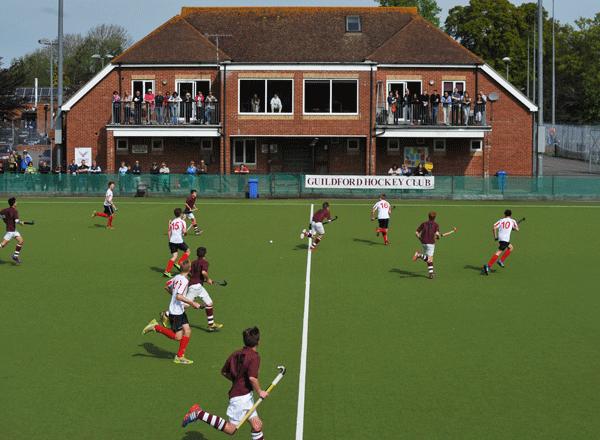 Guildford Prem, who had come second to Surbiton in the league table only non goal difference, played Area league winners Oxted. 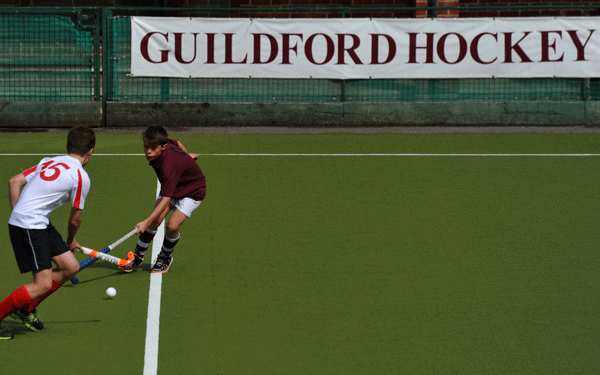 The Guildford boys started softly and somehow managed to look like they were still in bed asleep for the first ten minutes, but once they got their game together, there was no stopping them and their 5 goals against Oxted's one were more than enough to get them into the final. 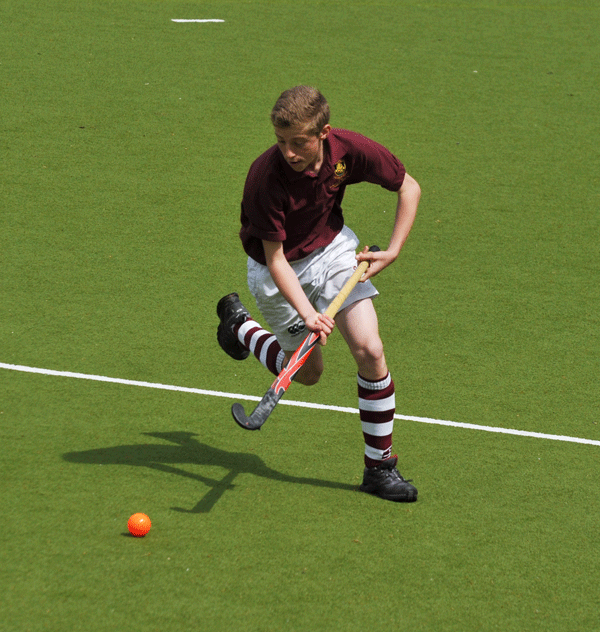 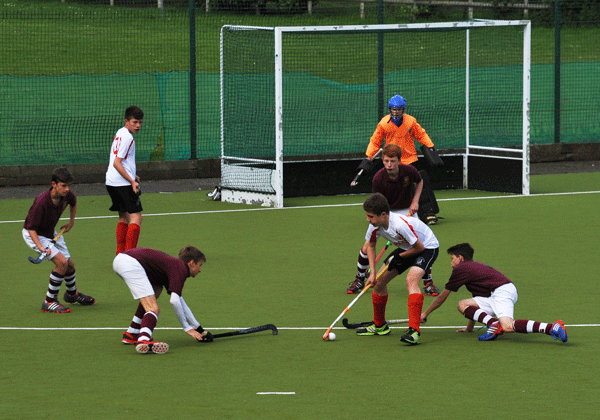 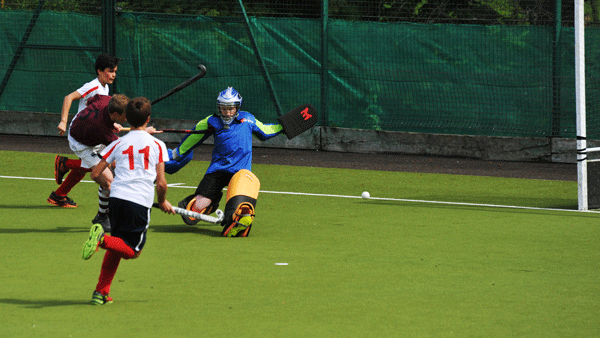 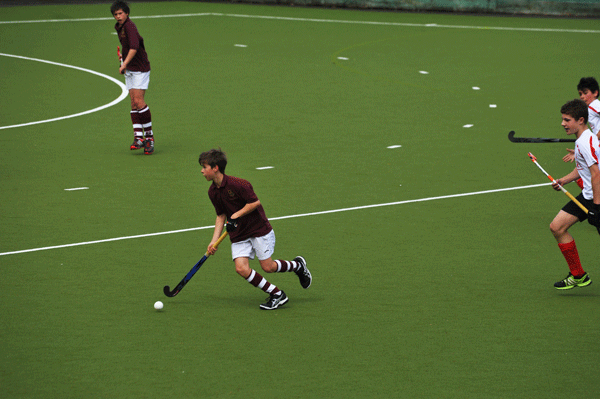 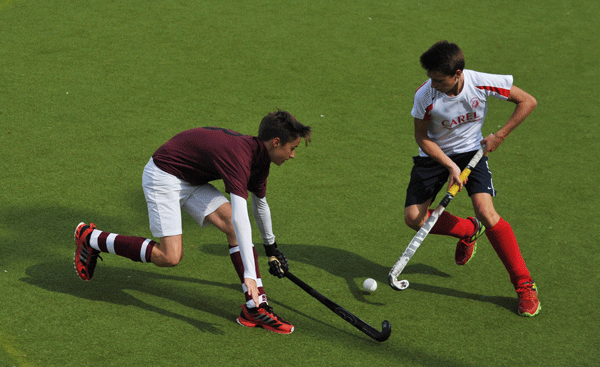 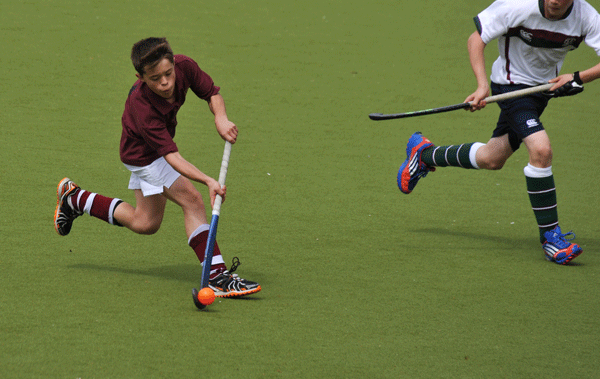 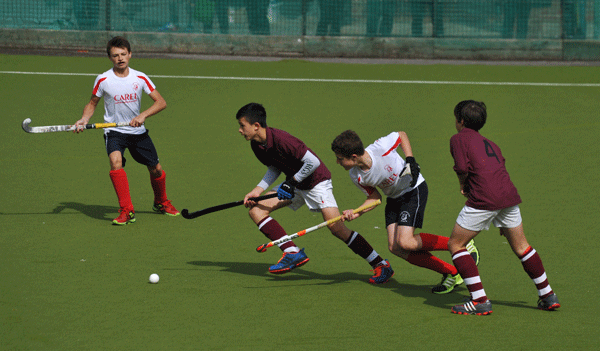 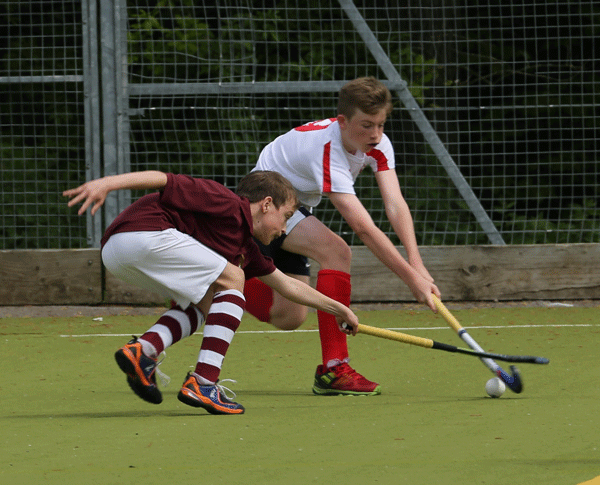 Oxted v Guildford South was a great show of determination on the part of the Guildford boys. 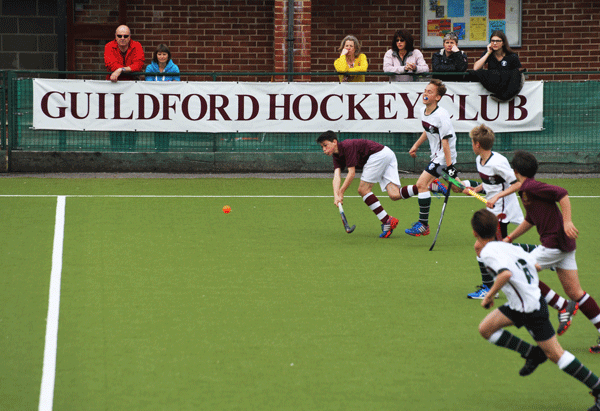 Down 5-1, Guildford battled their way to 5-2, 5-3, 5-4, 5-5! 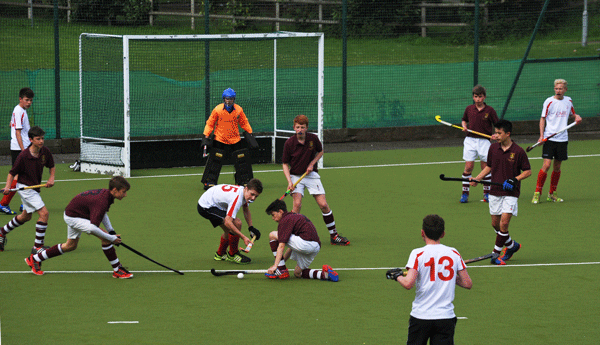 This match had everything and the kitchen sink was even thrown in at the end with penalty corners for both sides. 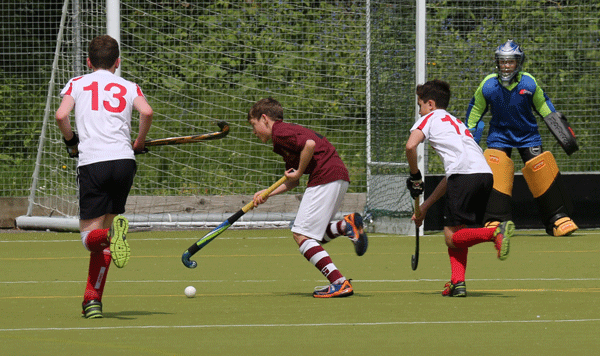 Oxted went up 6-5 and had a penalty flick to go up one more but was missed but the score remained 6-5 for Oxted at the final whistle. 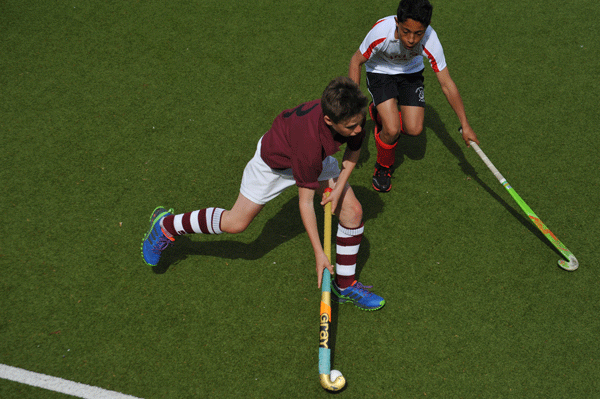 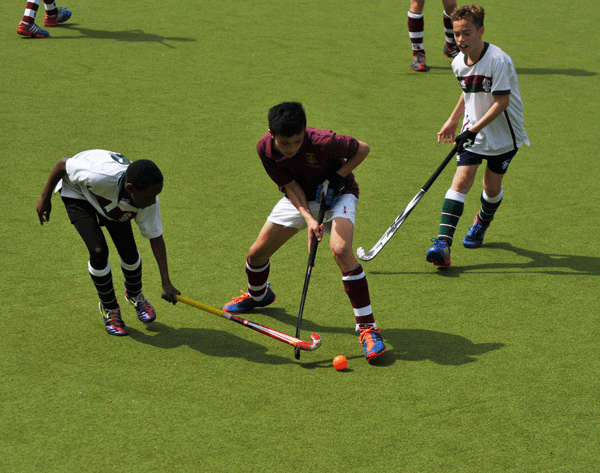 On the other pitch, Guildford and Surbiton were putting on a fine display of under 14 hockey with a pitch full of some of top players in the county if not the region. 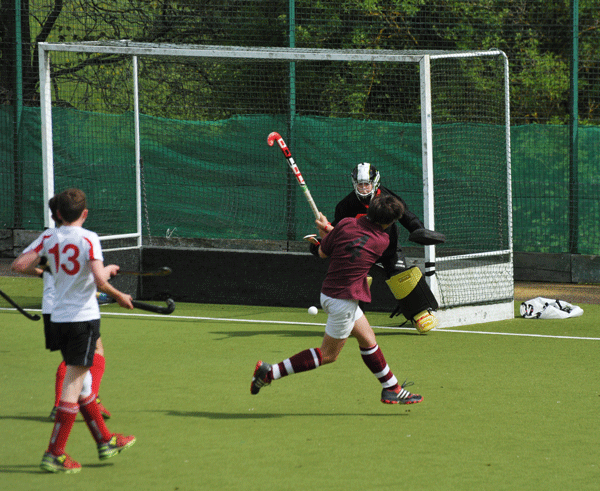 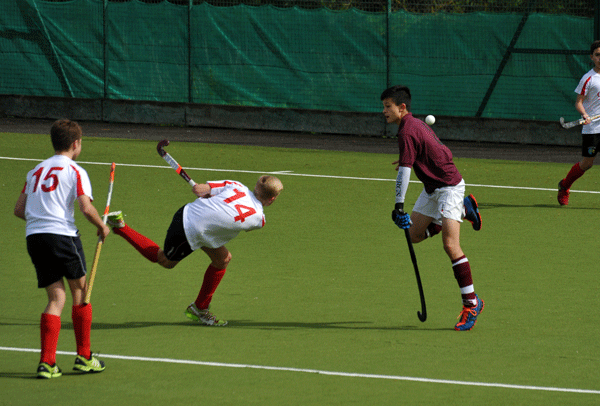 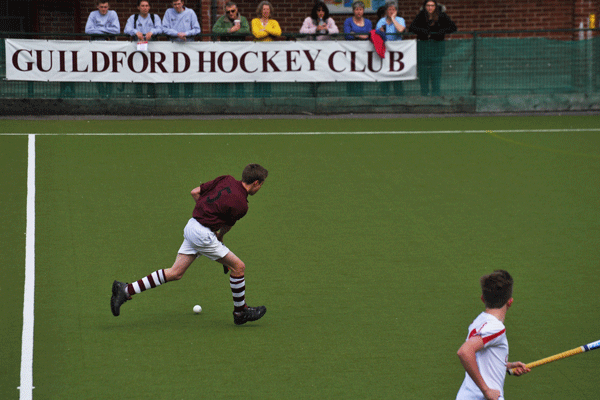 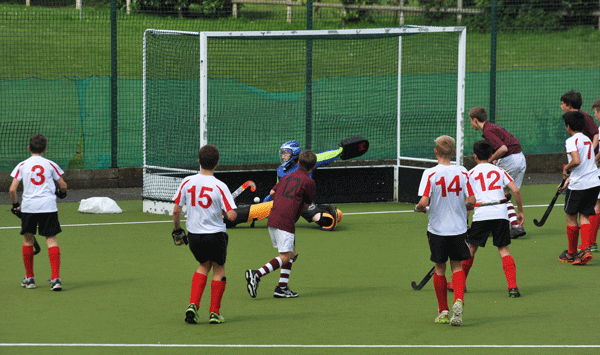 Contrary to the Oxted match, Guildford started brightly and had the first chance which was narrowly missed. 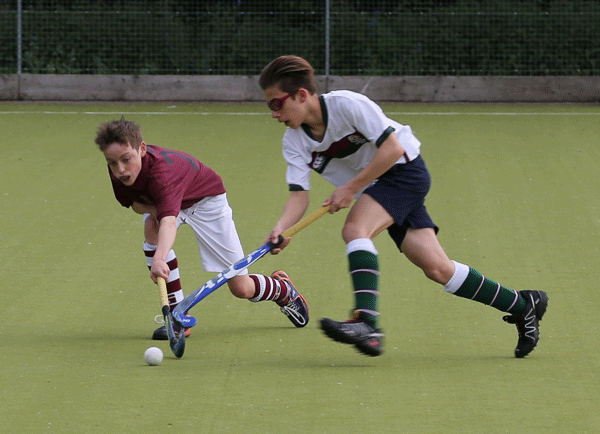 The constant pressure of the first 15 minutes had Surbiton working hard and they were able to raise their game and take advantage of a few breaks and a couple of uncharacteristic mistakes to score three goals to none. 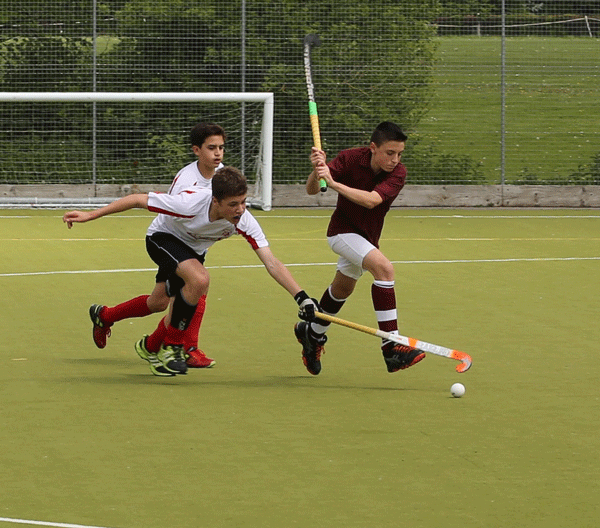 The score unfortunately did not reflect fully the quality of play from both sides, but Surbiton were able to convert their chances to goals and so won the match. 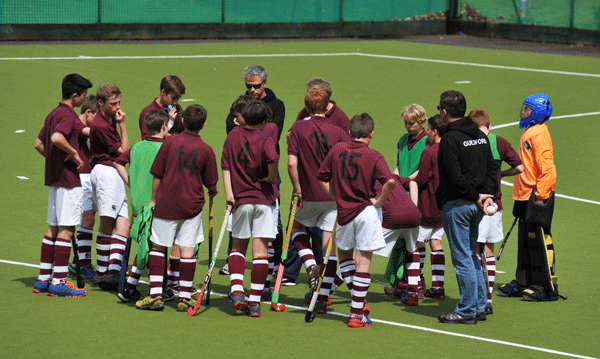 So, 2nd and 4th for the Prem and South teams which confirmed the league table results. 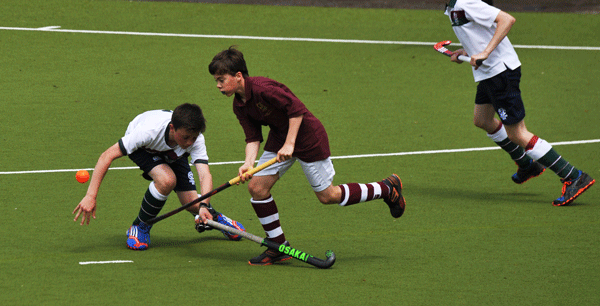 The boys had their chances to better that and both play-off matches were close. 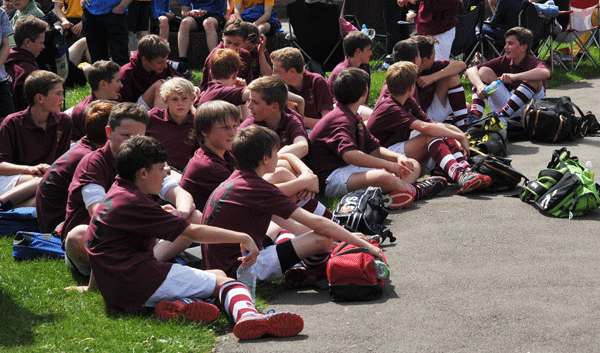 More work to do but a nice end to a great season. 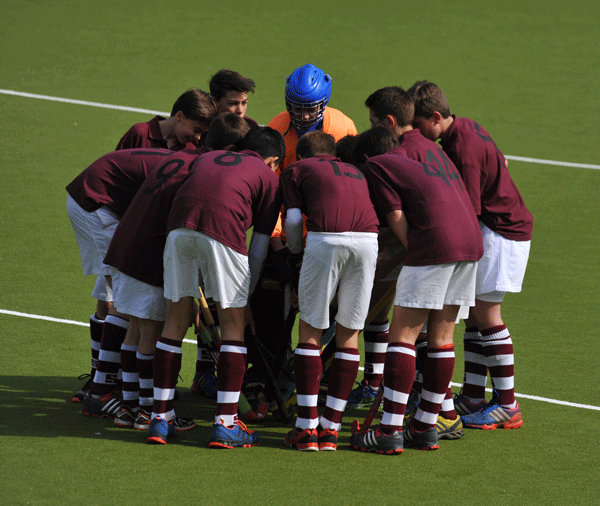 Well done, lads. 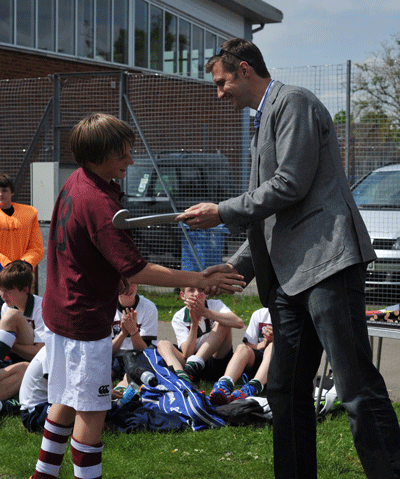 And it is very pleasing to say that the umpires awarded the Guildford boys the John Beasley Fair Play Trophy for their behaviour on the day. 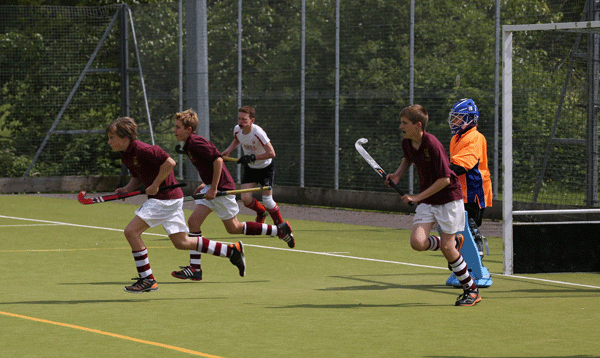 They did come out winners in the end! 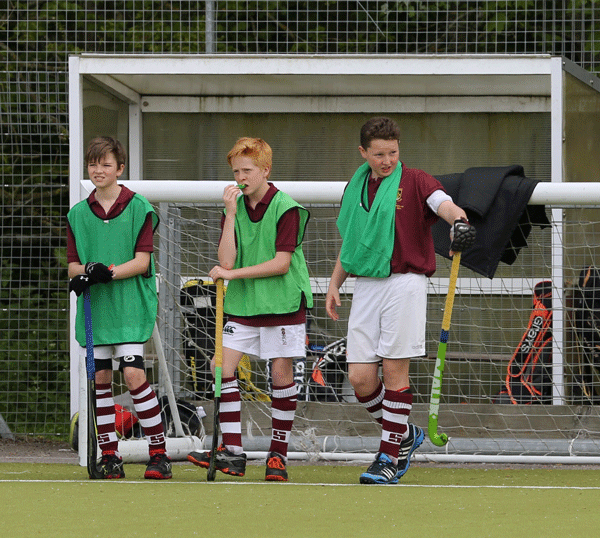 On behalf of the Mercian Colts Committee I would like to thank you and your excellent helpers for all your hard work yesterday in making Finals day go so well. 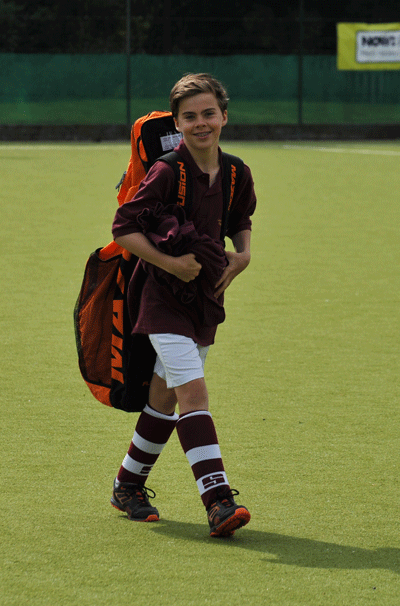 The facilities were excellent and the whole day seemed to have gone extremely well. 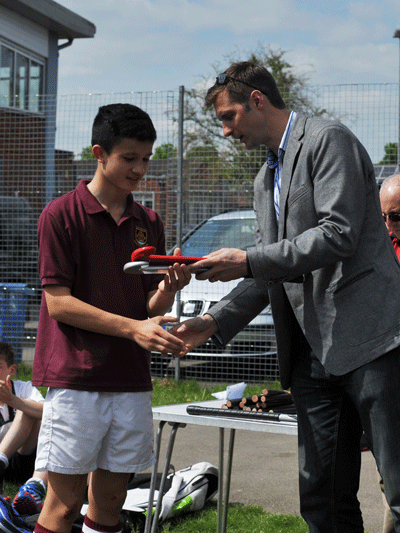 I am not sure whether Jeremy has contacted you but the Guildford U14 sides won the John Beasley Fair Play Trophy. 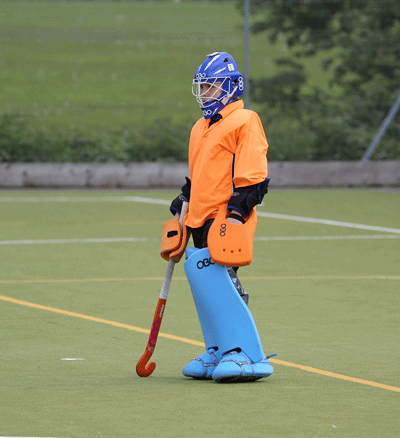 This is awarded by the umpires for the team the umpires voted played in the spirit of how hockey should be played - congratulations.